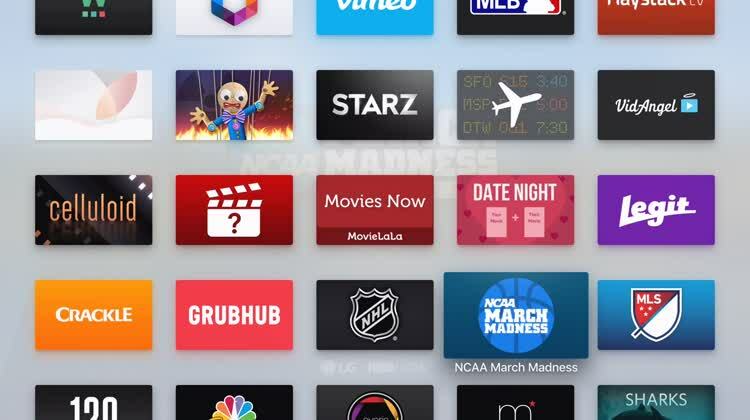 If you're a sports fan you are going to love all the apps available for the Apple TV. 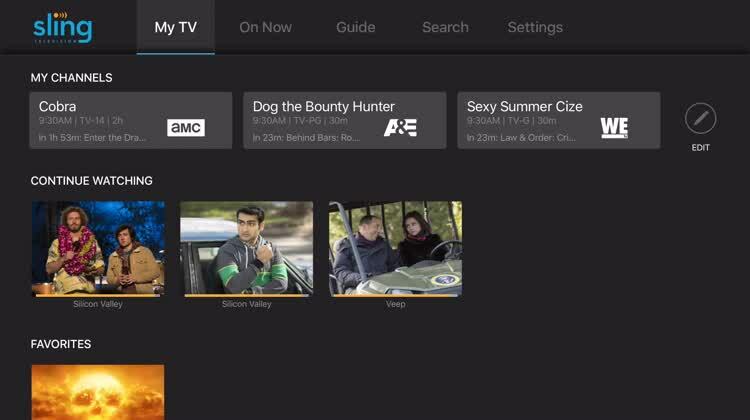 Sling TV offers over 25 basic channels, 65 extra channels, and add-ons such as HBO and FOX. Save your favorite shows, preferred channels, and never be at a loss for something to watch. 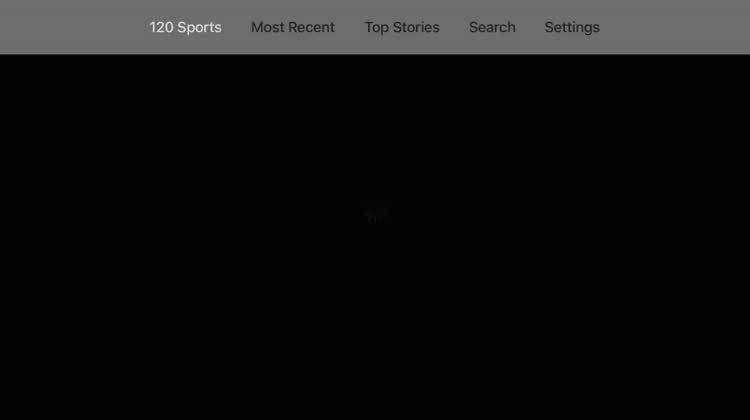 WNBA App is the official application of the WNBA! 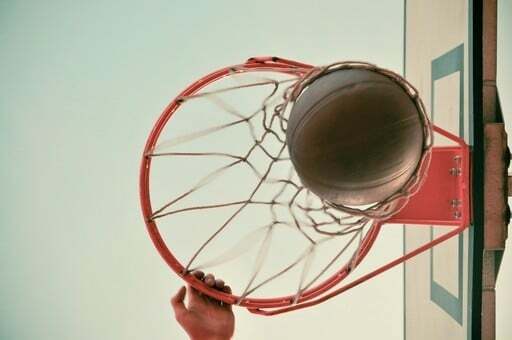 The league-wide application allows fans to watch live games with WNBA League Pass*, access WNBA video highlights, schedules, scores, stats, news and standings. After purchasing WNBA League Pass, register an account on your device to access WNBA League Pass on your computer as well! Already subscribed to WNBA League Pass? 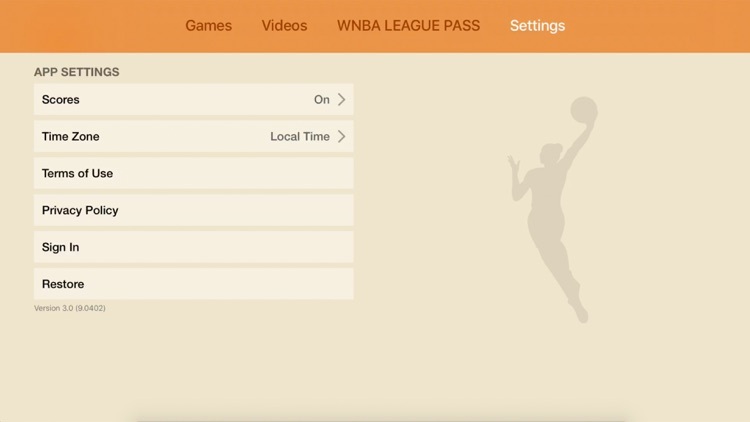 Simply log into the WNBA app from "My Profile" using your existing WNBA League Pass username and password. For all WNBA League Pass subscribers, email: [email protected] for any support questions. 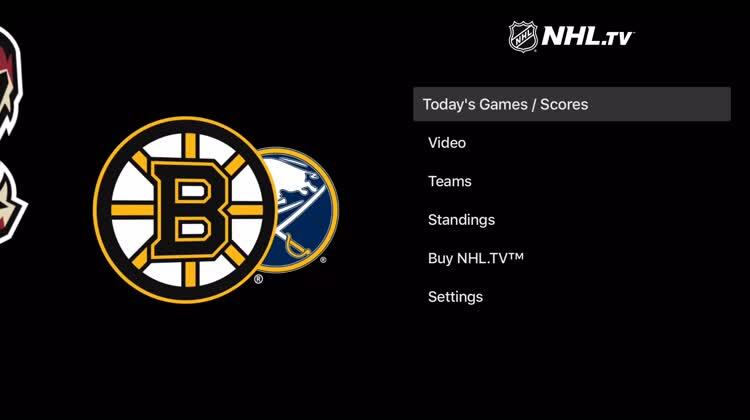 The official NHL app on your Apple TV delivers every live ​out-of-market game with the new NHL.TV as well as access to follow your favorite team with scores, stats, standings, and highlights. The World Surf League is the home of all the world’s best surfers competing at exotic locations around the globe to become this year’s WSL champion. 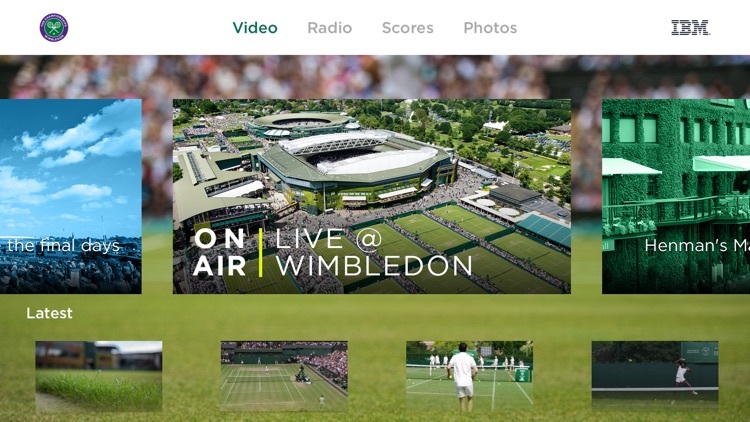 For the first time ever, you can now watch our LIVE event broadcasts and keep up-to-date with your favorite athletes anywhere, anytime. Watch the latest Championship Tour and Big Wave events anytime, anywhere. Never miss a wave, get notified when Championship Tour and Big Wave competitions start. Get the latest video highlights, wipeouts, news and more. 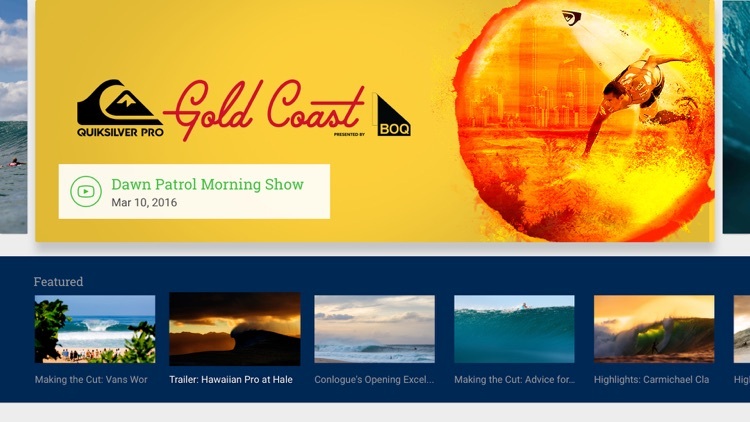 Updated daily, this is the place to stay in the loop with the world of surfing. 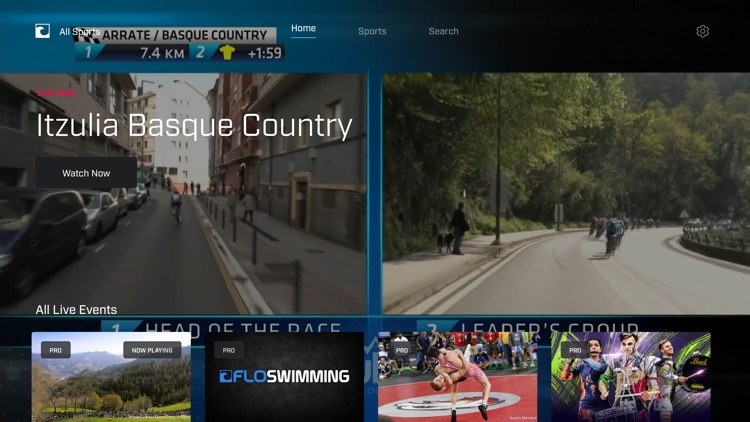 Build your own personalized “MY WSL” feed featuring the latest videos, news and photos of all your favorite athletes. Go even further and create athlete alerts, so you always know when your favorite surfers hit the water. Save those wave highlights, wipeouts and big wave rides for later. Stay up to date with the competition with our full listing of tour rankings and event schedule. Think you’ve got what it takes to build the ultimate Fantasy Surfing Team? Pick your team and start competing against friends and other surfing fans today. If you have any trouble with your app please email us at [email protected] so we can help you out. 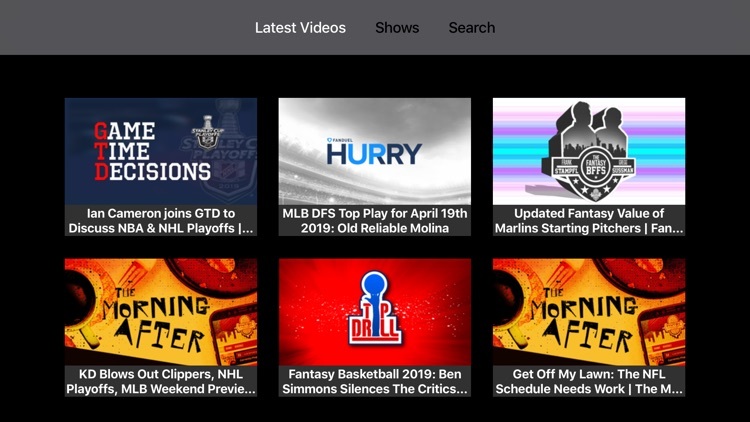 The official app from the MLB lets you stream all 162 games of the regular season on the Apple TV. 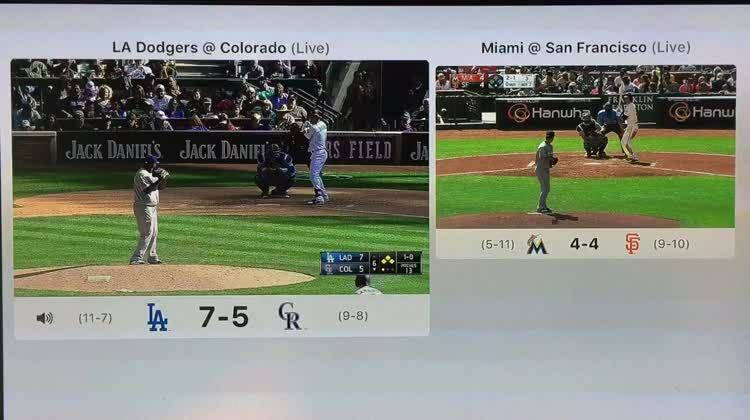 The system only offers out of market games due to MLB blackout restrictions. That means you can't watch the Yankees in New York or the Dodgers in LA, but you can watch them from everywhere else around the country. 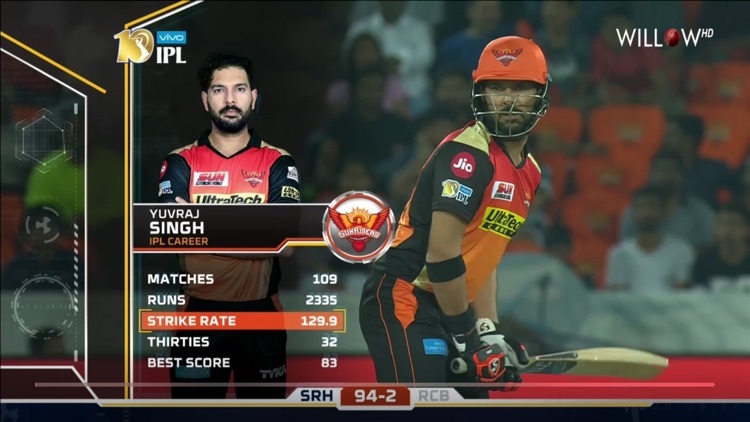 Fantasy Sports Network is the world’s first and only 24/7 television network designed from the ground up to inform, engage and entertain the more than 57 million enthusiasts who play fantasy sports annually and on a daily basis. The destination channel for fantasy sports players, its programming includes exciting live studio programming, call-in shows, expert panels, celebrity and expert drafts, reality programming and on-site commentary from sports venues, as well as short-form programming from the experts around the continent, providing fantasy sports discussion and analysis for football, baseball, basketball, soccer, golf, hockey, NASCAR and other sports. It also includes a fantasy sports “ticker” that is second to none in the world of sports. 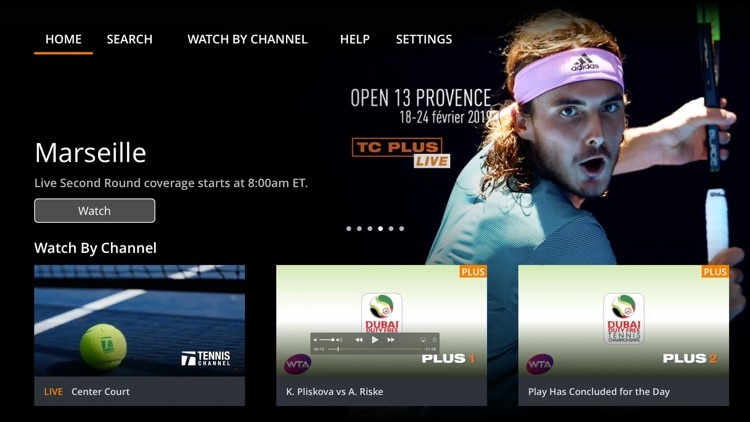 We offer access to the Live TV content, user can purchase the subscriptions and access the content. Receive goal alerts, news, schedules and scores for your favourite teams and players: Real Madrid, FC Barcelona, Atlético Madrid, Sevilla FC, Messi, Bale, Griezmann, Luis Suárez, etc. All of the information about the Professional Football League, as well as all of the international leagues for the 2018-2019 season. 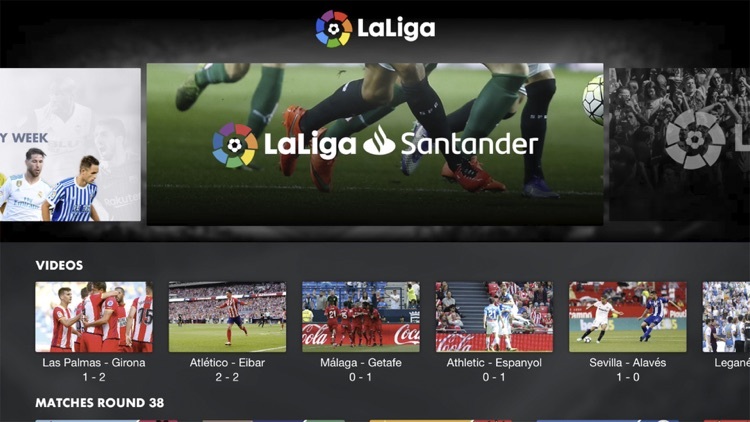 -SCHEDULES, SCORES, STANDINGS: LaLiga Santander, LaLiga 123, Copa del Rey, UEFA Champions League, UEFA Europa League, Liga Femenina Iberdrola, English, German, French and Italian Football Leagues….and many more. 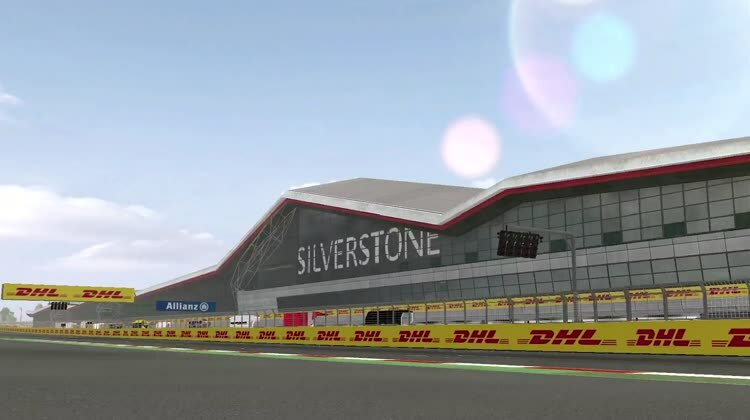 - LIVE minute-by-minute commentary. Follow and comment on the match via TWITTER. - NOTIFICATIONS: Real time notifications and alerts right from the kickoff, goals, red cards, substitutions, full times, daily schedules and much more. 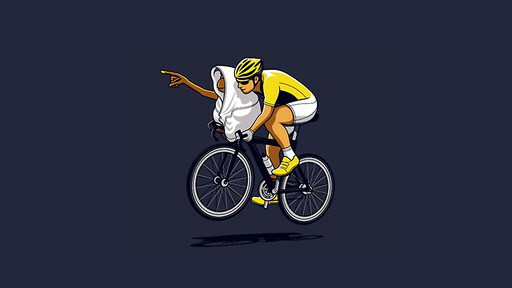 Completely customisable, it’s up to you. Optimised alerts for better live match coverage. - NEWS: Latest news from Spanish teams, your favourite team as well as official LaLiga news. - MY TEAM: Personalise app content for quick and easy access to all past and upcoming matches, stadium information, staff and images of your favourite team. - INTERNATIONAL COMPETITIONS: Take a look at match schedules and international league match scores. You can follow the English, German, French, Italian, Dutch, Portuguese, Argentinean, Brazilian, US, Russian, Mexican and Chinese leagues. - You can also access official LaLiga profiles on Facebook, Twitter, Instagram, YouTube and other official LaLiga apps. THIS APP IS NO LONGER ACTIVE. PLEASE INSTALL THE OFFICIAL CHAMPIONSHIPS 2017 APP. 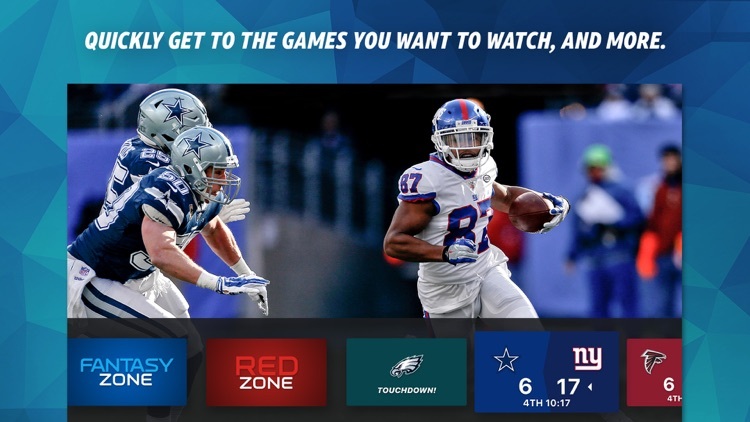 NFL Sunday Ticket for Apple TV lets you watch every live NFL game each Sunday and provides Fantasy Zone for those with NFL Sunday Ticket Max. 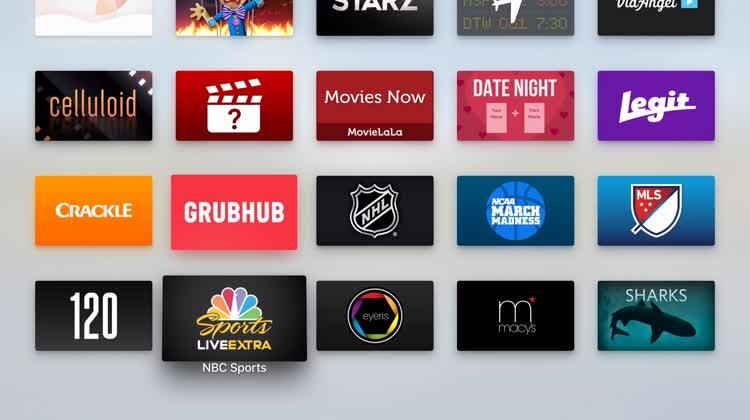 If you subscribe to NFL Sunday Ticket on DirecTV, this is the Apple TV app you want. Each March, 67 teams attempt to be the last one standing in the NCAA Tournament. 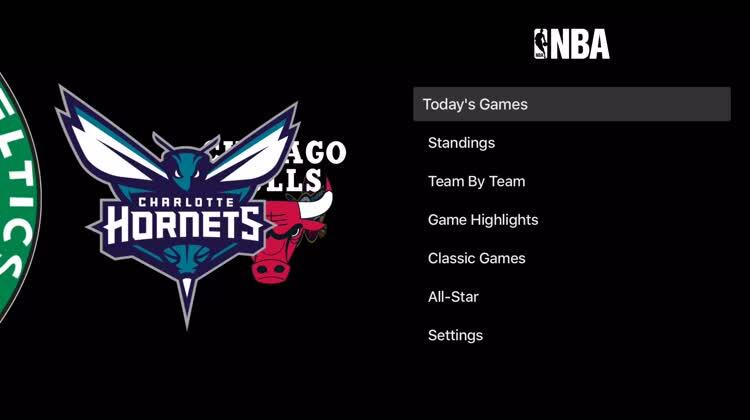 With this app, you have access to every game live. With 120 Sports, you'll get highlights from MLB, NBA, NHL, PGA Tour, NCAA Football, NCAA Basketball, NASCAR, and more. No cable or satellite subscription required. 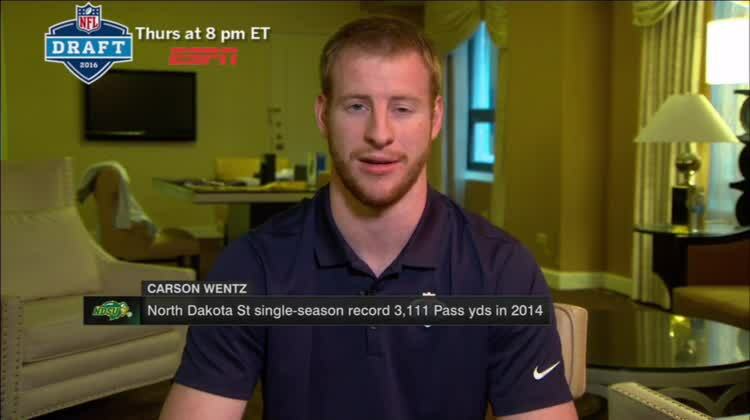 Take a look at highlights of sports from all around the world and content from Yahoo. 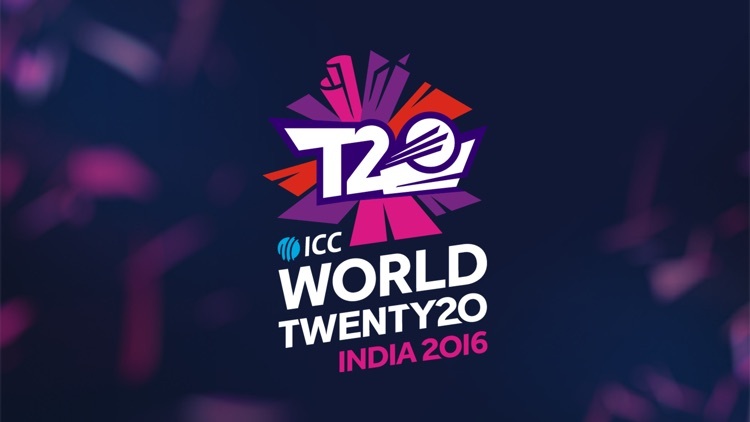 The #1 Cricket App for the ICC World Twenty20, India 2016. 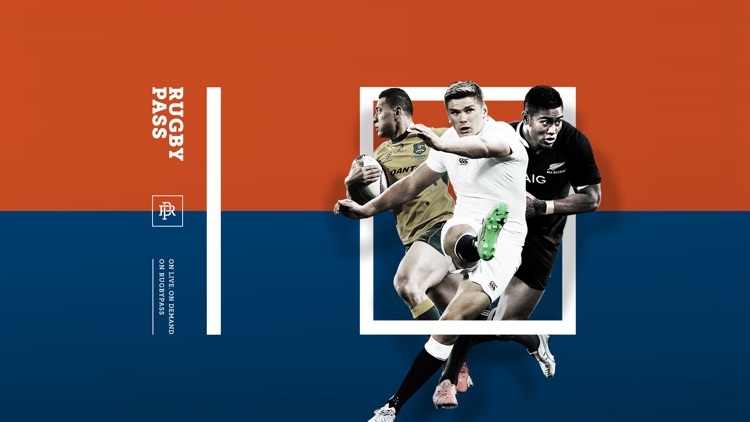 The official ICC app gives you full tournament coverage including warm-ups, videos, photos, breaking news, match highlights, statistics, and much more. 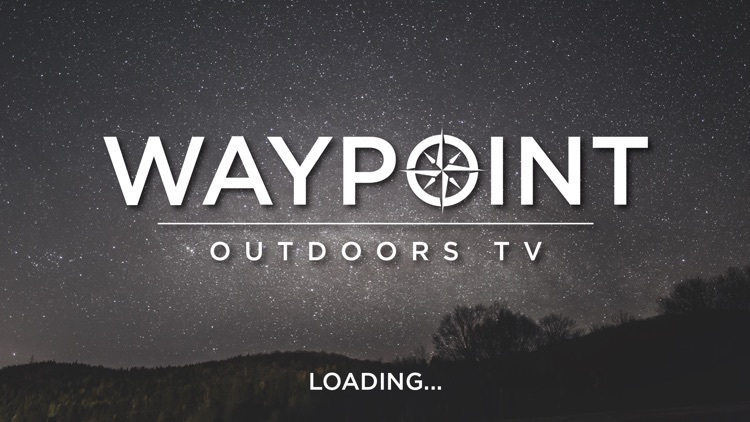 The highest quality (HQ) fishing, hunting and outdoor shows and short films in one location. Anywhere, anytime, on any device. 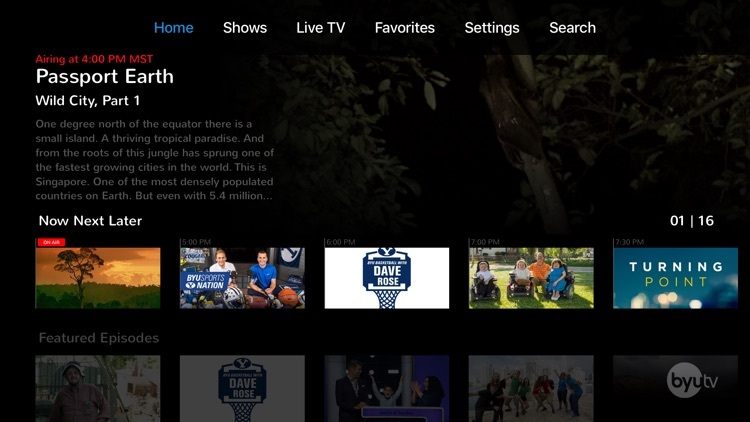 Video streaming at up to 1080p allows cord cutters free access to premium outdoor content. Experience live streaming from the ESPN family of networks with your cable or satellite subscription. GLOBAL WRESTLING NETWORK (GWN) gives fans around the world instant 24-hour access to the extensive IMPACT! 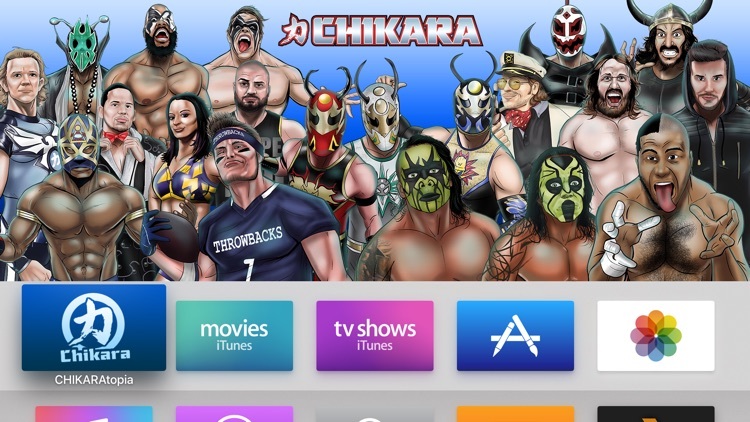 live pay-per-views and on-demand library, including every TNA Wrestling classic pay-per-view event, groundbreaking original series, reality shows and documentaries, exclusive shows and cards from international promotions and partners, plus over a thousand hours of original programming that can’t be seen anywhere else. 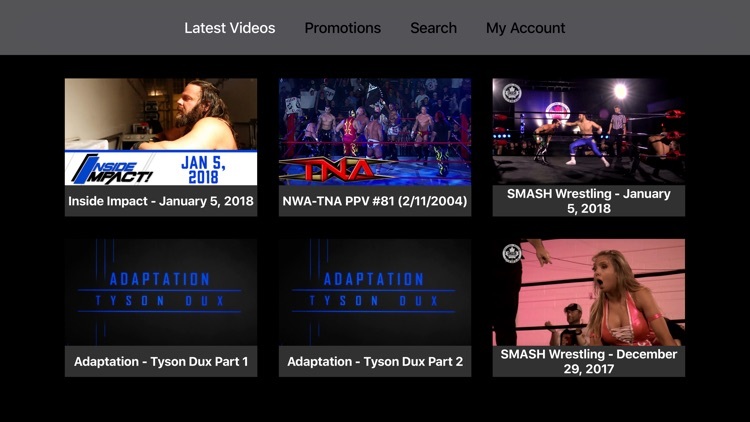 Weekly episodes of IMPACT!, Xplosion and original digital content is available for FREE right now to everyone. A premium subscription is available for $7.99 USD per month, no commitment, cancel anytime. Premium subscribers will have a 100% ad-free experience. – There is a 30-day free, no-commitment free trial for all new subscribers. – The subscription price is $7.99 USD, this will be charged monthly until canceled. 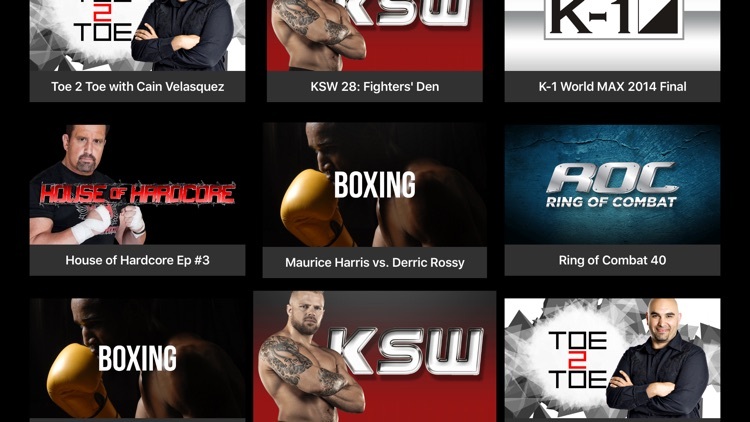 - During subscription period you will be able to watch all locked episodes. 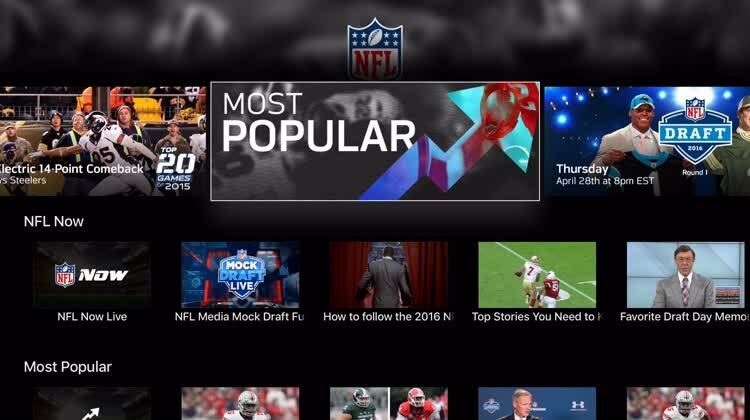 FOX Sports GO is your home for streaming live sports wherever you are. 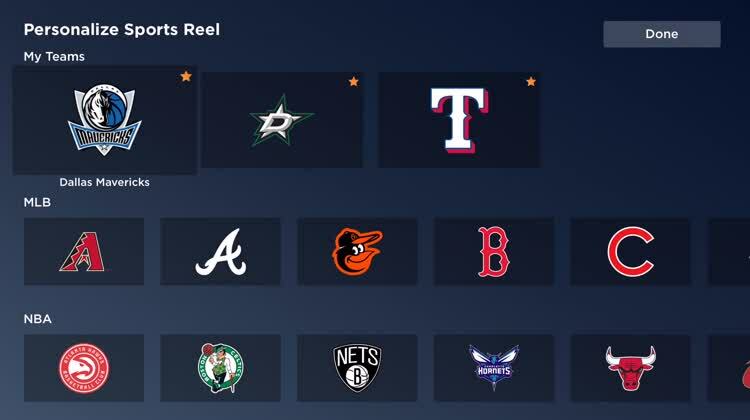 With FOX Sports GO, you can watch live sports and shows from FOX Sports, FS1, FS2, your FOX Sports Regional Network, Big Ten Network, FOX Deportes, FOX College Sports, and FOX Soccer Plus. 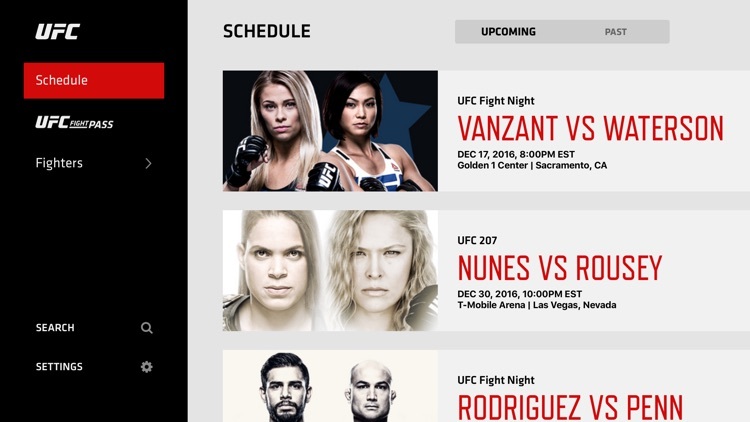 * No matter where you go, take FOX Sports with you on your iPad, iPhone or Apple TV. 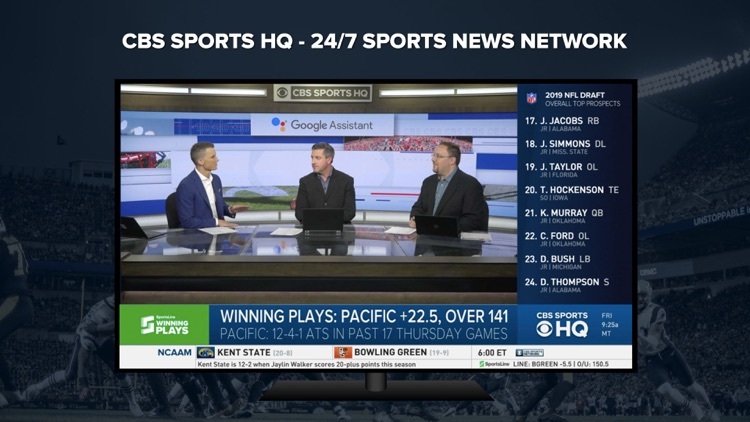 FOX Sports GO features live coverage of great sports, including: NFL, MLB, NBA, NHL, NASCAR, MMA, UFC, NCAA, College football and basketball including Big Ten Network, FIFA Women’s World Cup France 2019 TM, Bundesliga, and MLS. Enjoy opinion and debate with top personalities on FS1 Studio Shows - Skip & Shannon: Undisputed, The Herd with Colin Cowherd, First Things First with Cris Carter & Nick Wright, Speak for Yourself with Whitlock & Wiley, The Ultimate Fighter, NASCAR Race Hub, Lock It In, and UFC Tonight when you sign in with your TV Provider credentials. * Big Ten Football Championship: Northwestern/Ohio St.
Only on WWE Network, you’ll see all 12 WWE live pay-per-view events, including WrestleMania, groundbreaking original series, reality shows, and documentaries. 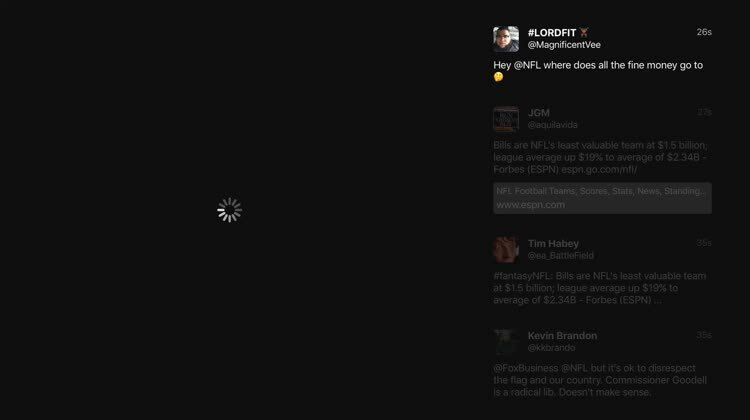 The Twitter app for Apple TV offers video content from around the globe, including live streaming of Thursday night NFL games. This is a companion app to the Redzone iOS app, allowing dashboards and leader boards to be displayed. Watch BYUtv everything we've got. Everywhere you want it. Enjoy our 24/7 live stream, live sporting events, and thousands of hours of video-on-demand from BYUtv’s great original series like Studio C, Relative Race, and Random Acts Watch BYU Sports, including college football, basketball, and olympic sports, plus our daily hit show BYU Sports Nation. If it’s on BYUtv, it’s in the app. - Easily share content via Twitter, Facebook, email, text message, etc. Do Football Stats tell the whole story? This App utilises historic game data to challenge you to predict the scores of a game based on their post-match-stats. Do you top your fantasy league tables? Do you know everything there is to know about Football? 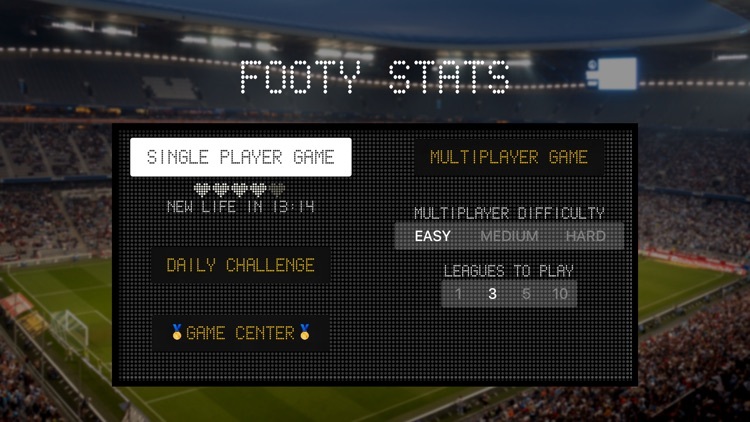 Limited stats are provided, such as shots on goal & corners for a game that has already been completed. Using this information you must predict the final score and are awarded points based on how correct they are. The maximum points per game is 40, although you can also receive 0 if you don’t guess anything correctly! A hint system is implemented to give you a chance to obtain extra information on the game in order to influence your decision if you’re just not sure. There are 3 types of hint available: Reveal number of goals, Reveal the half time position, and reveal the team’s names. These pieces of information give you help, but don’t necessarily give you the final result, so use them carefully. Every day compete with players around the world in a 5 game shootout. Can you score maximum points and top the leaderboard? Multiplayer mode allows you to challenge your friends on the Apple TV to decide once and for all who knows the most about football and whether stats do tell the whole story. Up to 8 players can play, you’re given a 15 second time limit to predict the score to keep the game flowing fast. 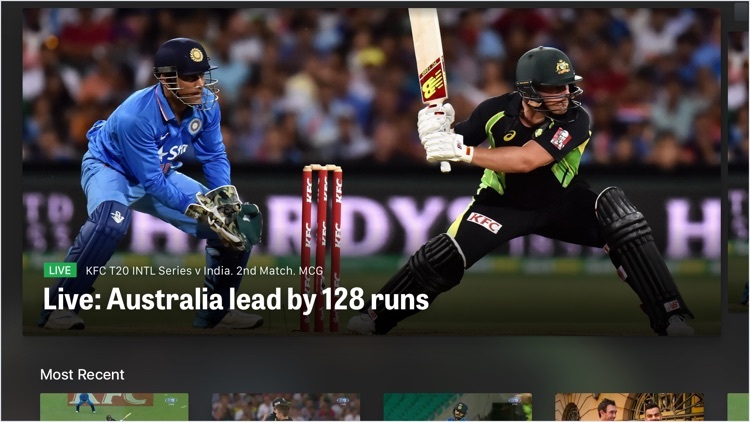 The official app of Cricket Australia – Cricket Australia Live is your #1 destination for live cricket coverage, breaking news and video highlights. We recommend streaming over a wi-fi network when possible as additional data charges may apply from your mobile or internet provider. * Subscription to a streaming service provided by Fox Sports required. More details to be provided in October 2018. © 2018 Cricket Australia. All Cricket Australia trademarks and copyrights used herein are the property of Cricket Australia. All rights reserved. 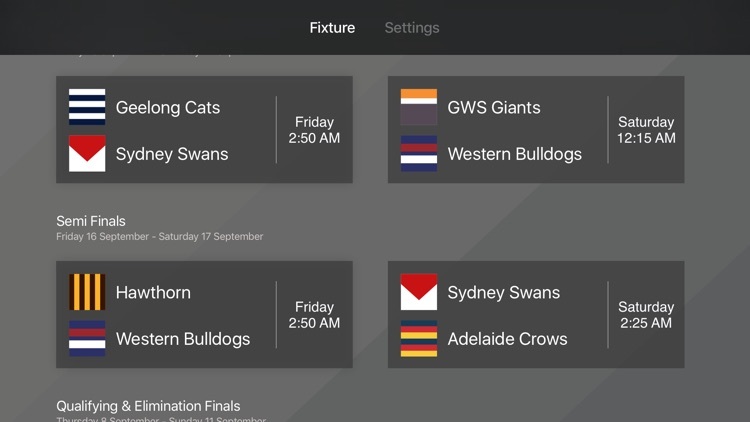 Aussie Rules TV is an un-official 'WatchAFL Global Pass' app which allows Australian Football League (AFL) fans outside of Australia access to live games and replays from the 2018 season directly on their AppleTV. * Continue Watching - Resume watching the last watch game from where you left off. * Popular matches highlighted with a lightning bolts (the more bolts the more popular a game is). The ORIGINAL and most full-featured app for rallying in Canada! 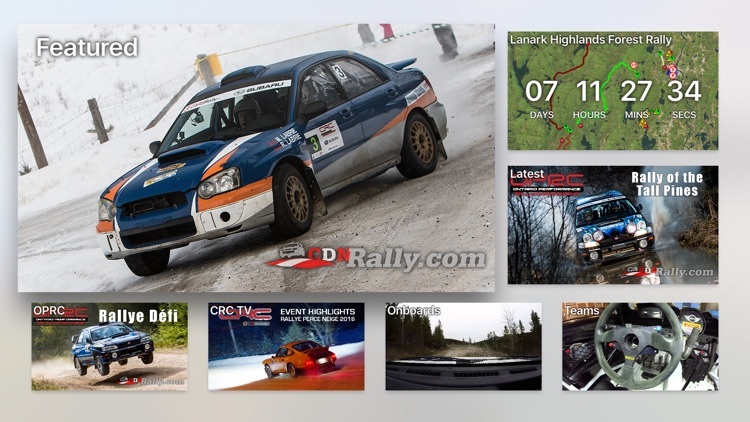 Includes news, recaps, photos, and videos from the Canadian Rally Championship and regional events from coast to coast. 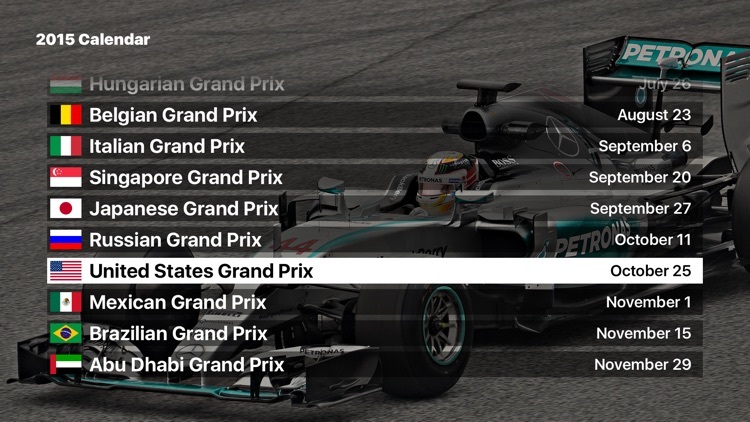 Follow LIVE stage maps and times at select races. Keep up to date year round with the latest Instagram and Twitter posts from drivers, events, teams, fans, and more with the exclusive Social Hub. Recaps of all Canadian Rally Championship rounds and select events from regional series. 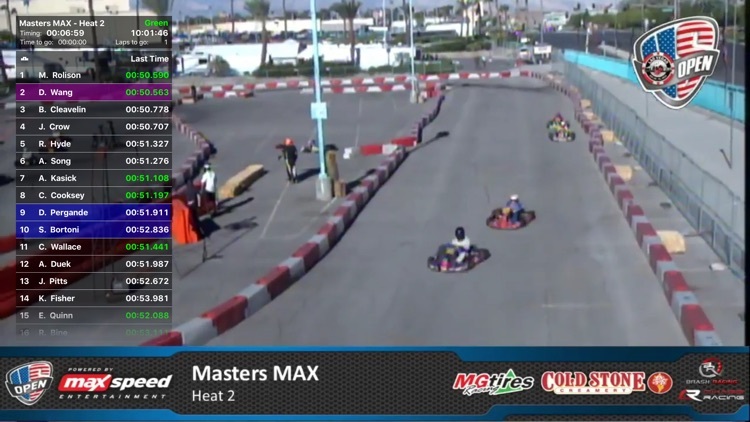 More than 15 hours of video including original content, CRC TV, competitor on-boards, team productions, and fan videos.